Let's be honest. We all basically knew that Jessica Biel was pregnant. The signs were all there! The anonymous reports came out, she didn't party with husband Justin Timberlake at a fancy pants gala, her "friend" Instagrammed a congratulatory message. Well, it looks like Biel knows the world is on to her and the prince or princess of nostalgia — hey, Timberlake's from *Nsync and she's from 7th Heaven, don't deny that the prince/ss of nostalgia cometh — she's got brewin'. Why? 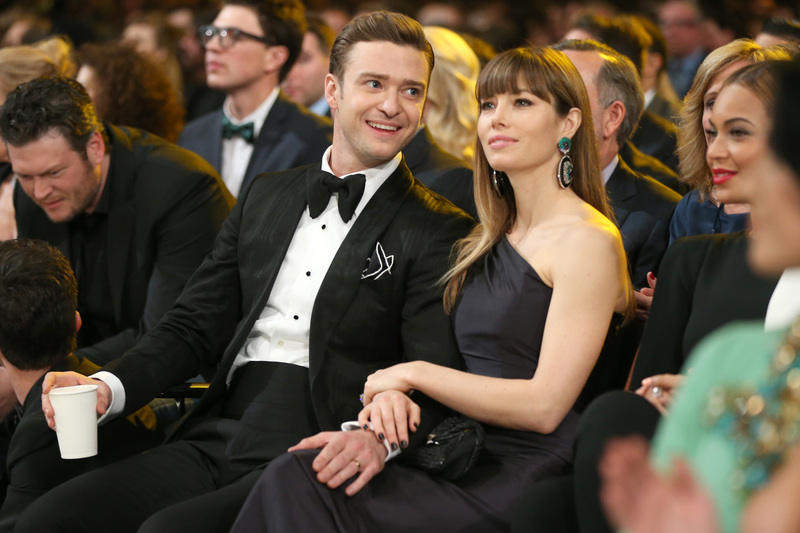 Because, finally, Jessica Biel and Justin Timberlake confirmed they're expecting a baby! Woohoo! Pop bottles and dance to "Suit and Tie" and watch... Valentine's Day. Sorry, Jessica Biel doesn't give us that much to choose from, but you get the idea. It's a celebration! As you probably gathered, he confirmed the news on his own birthday. Man, he really upped the this-is-adorable ante. So now, i's time to let the speculation begin. When is the baby due? What will Jessica Biel's maternity fashion be like? What will Justin Timberlake's paternity fashion be like? Will they combine last names and use Timberbiel? (Please!!) Will the future baby wear matching suits with them? What will the baby's profession be — singer-slash-surprisingly-hilarious-comedic-actor or actress-slash-extremely-chic-person? Will it meet Beyoncé?!?! The possibilities are endless! But for now, congrats, you two!